Not library quiet but a good buy. Generally that's a good unit, especially for its price. It's not exactly "library quiet" (we all know what the level of noise in libraries is) but I was told its good comparing to others. We all know that Japanese consumer electronics and not only electronics devices are far better than American, for example. 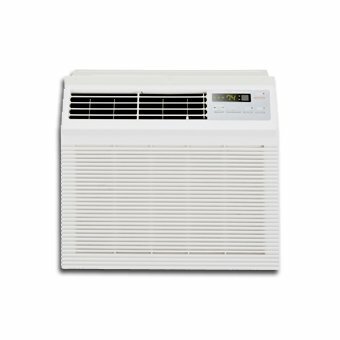 A few disappointing things in this unit though - the "energy saving" feature only allows you to set the unit so that when the compressor stops the fan stops also after 10 seconds. One would expect this to be by default but Sharp did not do it in this way - instead you must press a special button to put the unit into "saving" mode. This gets reset when you power it down and this button is not on the remote, so if you don't want the noise of the fan at all times you must get up from your arm-chair and go to the unit. I guess I can't exactly specify much more features for a unit of this price but I think that energy efficient technology nowadays must be not just a brand trick as it seems with this unit. They should invest in quieter less energy consuming compressors and then the AC would be "energy saving". Because a fan is a motor which consumes only several watts it is not something that we'd save much and have cleaner environment. The unit has also only indication in Fahrenheit, no Celsius which is a world-side standard so it would have been nice to have a button and switch between these two modes. 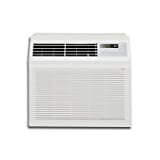 I got this unit for 179.00$ in PC Richards when it got hot so I am contributing this report here and to say that the Amazon price rocks!